Careful and regular hedging, pruning and trimming of your garden is essential to its maintenance and includes roses, plants, shrubs, fruit trees and small trees. This service also includes the removal of small shrubs and trees. All services and prices quoted include the removal of all cuttings. We offer quality pruning and weeding services using the latest techniques to ensure a consistent, attractive appearance for any foliage. Whether it’s pruning services or a weeding task in your Bournemouth or Dorset garden; we have the expertise and drive to provide the solution! Our gardening services have extended to a wide network of satisfied customers, many of whom regularly use our help. Providing excellent customer service whilst taking care of your outdoor space is our priority, and we have been delivering this effectively for a number of years. Take advantage of our affordable and effective provisions and make a choice with us today! Weeds don’t look nice in your garden and they steal the nutrients from the soil. This leads to fewer nutrients for your other plants and they can’t grow strong and healthy. This is why you should practise weeding regularly if you want a healthy garden in Bournemouth. The typical growing season for weeds is the same as your lawn. When the weather gets warm, weeds start to grow everywhere. By mulching your flower beds, it helps prevent weeds. 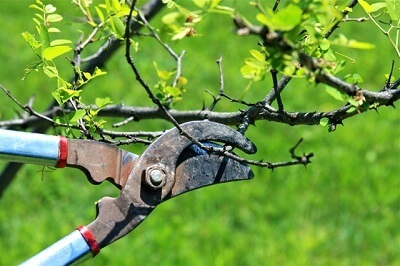 Pruning is the process of removing certain parts of a plant – branches, buds, or roots. 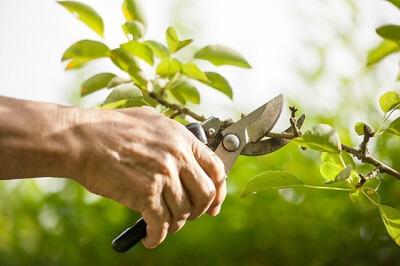 Reasons to prune plants include shaping, deadwood removal, reducing risk from falling branches, improving health and increasing the quality of flowers and fruits. It is great to have a garden and enjoy the fresh scent of the flowers and the beautiful look of the backyard but like everything else, the Bournemouth garden needs garden maintenance. If you have only grass you can check our lawn mowing service. It may be more appropriate for your needs.